Positioned near the Southern gateway to the city, this development provides for flexible two-storey office spaces aligning with new technology directions of the nearby Tonsley Innovation district. Full height glazing allows natural light to penetrate deep into the building while the clean white return overhangs assist the control of heat gains and provide protection at street level. 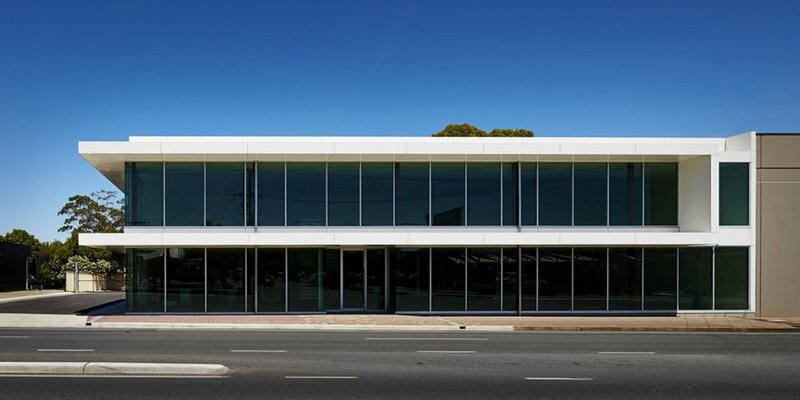 The building was designed to cater for either multiple businesses or one anchor tenant, always transmitting a consistent singular form to the busy passing traffic of South Road.